The apartment has an open plan kitchen/dining/living room area. 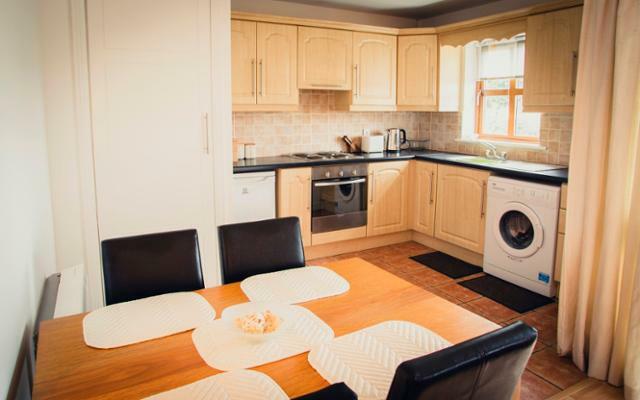 The kitchen is fully equipped offering guests every facility needed for a self catering holiday. There are two bedrooms, one is a double ensuite and the second has a single bunk over double bunk. There is also a family bathroom with shower over bath. Longford town is within walking distance of the apartment. The apartment is ideal for leisure and corporate bookings and is also ideal for guests returning to the town to visit family.